Chapter Programs - Theta Rho Lambda Chapter of Alpha Phi Alpha Fraternity, Inc. The “Go-to-High-School, Go-to-College” program, established in 1922, concentrates on the importance of completing secondary and collegiate education as a road to advancement. Statistics prove the value of this extra impetus in making the difference in the success of young African-American men, given that school completion is the single best predictor of future economic success. Through the Go-to-High-School, Go-to-College educational initiative, young men receive information and learn strategies that facilitate success. Alpha men provide youth participants with excellent role models to emulate. Alpha Phi Alpha Fraternity, Inc. and the March of Dimes Birth Defects Foundation began collaboratively implementing Project Alpha in 1980. This collaborative project is designed to provide education, motivation and skill-building on issues of responsibility, relationships, teen pregnancy and sexually transmitted diseases for young males ages 12-15 years. 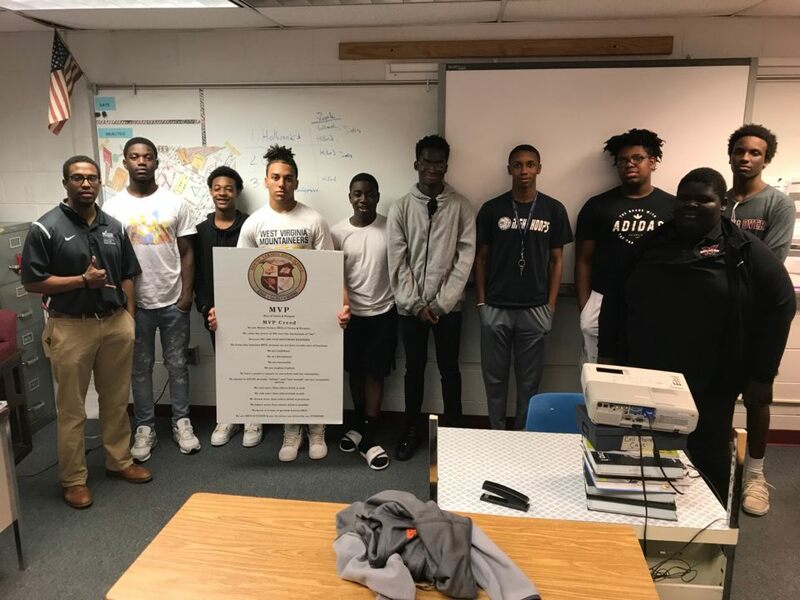 Designed to provide young men with current and accurate information about teen pregnancy prevention, Project Alpha consists of a series of workshops and informational sessions conducted by Alpha Phi Alpha Fraternity brothers. “A Voteless People is a Hopeless People” was initiated as a National Program of Alpha during the 1930’s when many African-Americans had the right to vote but were prevented from voting because of poll taxes, threats of reprisal, and lack of education about the voting process. Voter education and registration has remained a dominant focus of this outreach activity for over 65 years. In the 1990’s, the focus has shifted to include political awareness and empowerment, delivered most frequently through town meetings and candidate forums. The Theta Rho Lambda Chapter of Alpha Phi Alpha Fraternity, Inc. implements this program in the Arlington and Alexandria area. Vote registration drives also occur at all Chapter Back To School Events. The Chapter has focused its last couple of registration drives on the area surrounding The Ruby Tucker Center in Alexandria, VA. The Theta Rho Lambda Chapter of Alpha Phi Alpha Fraternity, Inc. participates in special projects which serve our community. These special projects can be found below. The Back to School Event is an event that was started in order to provide school supplies to children who may not be able to afford them. It is a yearly event which includes live music and other activities. Such activities have included snow cones, moon bounces, and basketball games. The Chapter has partnered with local organizations such as NAACP and Urban League in past years in order to make the event even more of a success. Thanksgiving Basket Distribution is a program that the Chapter partners with First Agape Baptist Church on. We provide Thanksgiving Day meals to families in need. The highlight of the baskets are the turkeys that each family receives. The baskets are distributed at the Ruby Tucker Center yearly before Thanksgiving. Toys For Tots is a program that the Chapter participates in annually. Around Christmas, the Chapter provides new toys to the Hopkins House and the McNeil Preschool Academy in Alexandria, VA. The Hopkins House provide quality educational programs and opportunities to children, youths, and their families, regardless of income. The Ronda A. Gilliam Clothing Bank is a program that the Chapter makes contributions to throughout the year. A special focus of contribution is made during the spring. The clothing drive’s namesake, Bro. Ronda A. Gilliam, was one of the Chapters charter members. The current brothers of the Chapter are glad to do their part to continue his legacy by collecting gently-used clothes for donations.